Photo of Berniece that accompanied her obituary in the Lewistown Sentinel. Berniece M. Isenberg, 87, of Port Royal, passed away at 5:58 p.m. Sunday, Nov. 15, 2015, at her home. Born Jan. 25, 1928, in Port Royal, she was the daughter of the late John L. and Rebecca E. (Bryner) Kunkle. 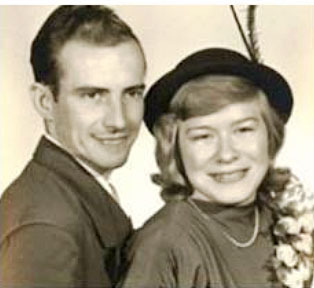 She was preceded in death by her first husband, Albert James Brackbill, who died July 20, 1987, and also by her second husband, Robert S. Isenberg, who died April 25, 2015. Surviving are: two sons and a daughter, Garth E. Brackbill and wife, Norma, Jim L. Brackbill and wife, Veronica, and Sue A. Bobb and husband, Michael, all of Port Royal; eight grandchildren; and 10 great-grandchildren. Mrs. Isenberg was the last of her immediate family, having been preceded in death by a brother, Brady L. Kunkle, who died in June of 1964, and a sister, Bernette C. Crozier, who died on Aug. 31, 2013. Berniece was a 1946 graduate of Juniata Joint High School, and then later attended Susquehanna University, where she studied business for one year. Berniece especially enjoyed spending time with her family and friends. Her memorial service will be held at 11 a.m. Thursday, Nov. 19, 2015, at the Matamoras United Methodist Church with the Rev. Terry J. Brosius officiating. Although there will be no public viewing, the family will be present at a visitation to receive friends at the church from 10 a.m. until the time of service on Thursday. Interment will take place at New Church Hill Cemetery, Port Royal, at a later date. In lieu of flowers, memorial donations may be made in Berniece's memory to the Matamoras United Methodist Church, P.O. Box 396, Port Royal, PA 17082. The Rex Funeral Home in Port Royal has been entrusted with the arrangements. 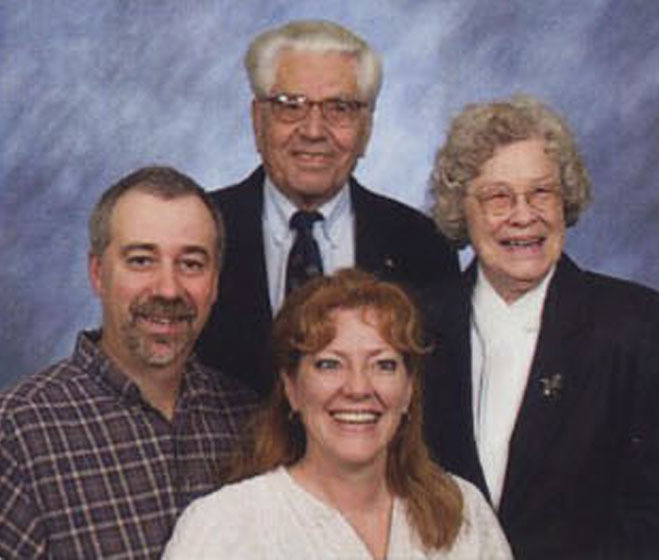 Photo of Robert and Berniece (Kunkle) Isenberg with Sue and Mike Bobb that appeared in a 2005-06 Photo Directory of Mastamoras United Methodist Church members. (The photos were taken by Olan Mills Studios. ).